The stunning backdrop is like a breath of fresh air…a place where culinary delights are served overlooking the inviting sea. 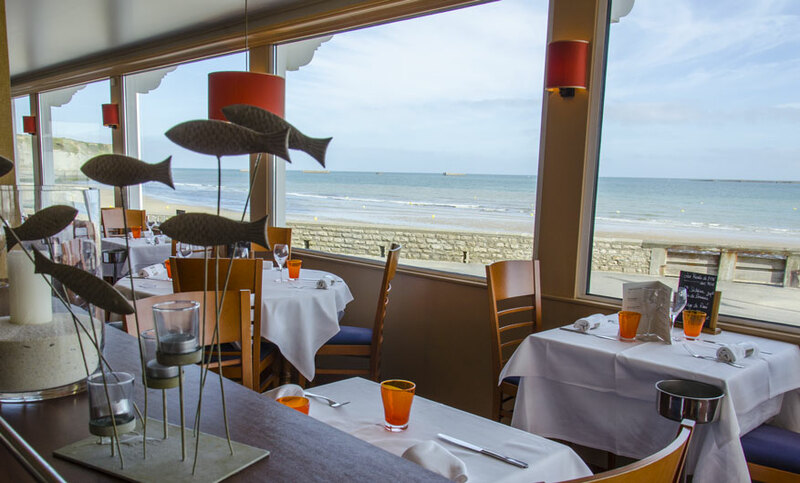 Renovated by the architect Bernard Beuneïche, the restaurant is decorated in warm and relaxing colours. Whether you are eating alone, as a couple, with friends and family or on business, each table is designed to be secluded and private. Come and enjoy a relaxing experience overlooking the sea! At high tide, sea spray swirls against the bay windows, whilst at low tide the sea retreats to expose a huge beach.